“This has been one of the most complex and successful salvage operations in the industry”, says Helge Kvalvik, CEO of BOA. On November 8, one of Norway’s five top modern frigates, HNoMS Helge Ingstad, collided with the oil tanker SOLA TS in Hjeltefjorden on the west coast of Norway, substantially damaging the frigate at the starboard side. In the collision eight people sustained minor injuries and 137 people were evacuated from the frigate. The warship subsequently grounded on the western side of the fjord where it was secured to land with steel wires, partially submerged. “BOA was contacted by the Royal Norwegian Navy that same day and started immediately to prepare a salvage plan”, Kvalvik comments. BOA was hired by the Norwegian Defense and Logistics Organisation (NDLO) as the main contractor for the salvage operation. The company developed the method of work to salvage the frigate; this salvage plan was approved by NDMA which again was supported by external advisors as DNV-GL, TMC and the Norwegian Coastal Administration (NCA). 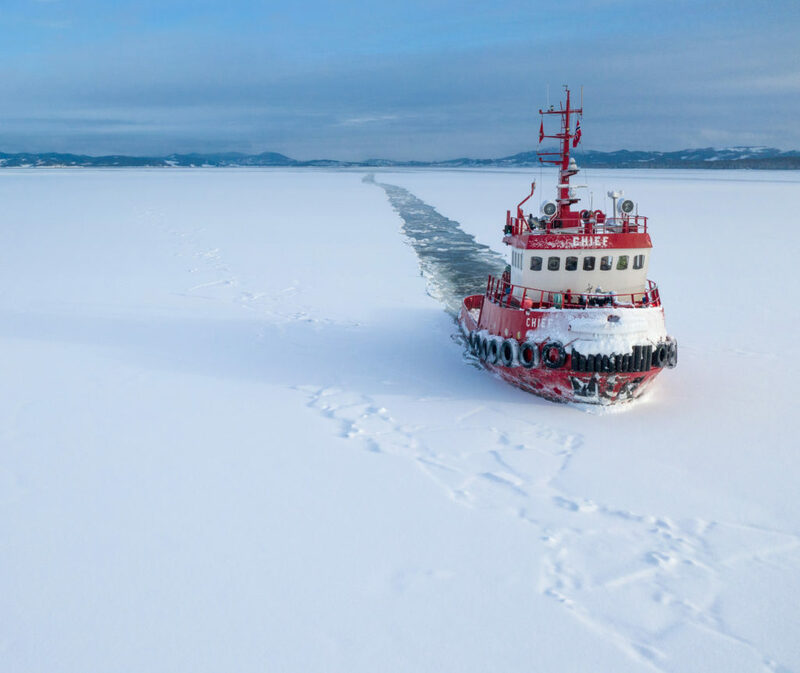 The entire salvage, where up to 300 people from the Royal Norwegian Navy and private subcontractors were involved, was headed by BOA and their salvage team with NDMA as a close collaborating partner. “There were four main steps in this salvage plan. The first step was to secure HNoMS Helge Ingstad to shore, to avoid further sinking. Step two was to remove fuel onboard and at the same time prepare the frigate for lifting by placing and securing lifting chains around the hull. 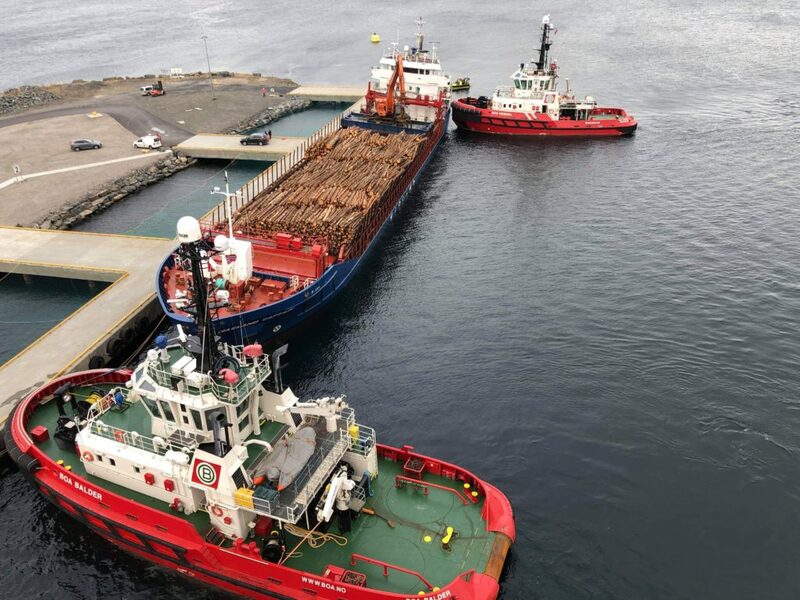 The third step was the actual lifting, dewatering and loading onboard Boabarge 33 and the final step involved the transport and re-delivery to the owners”, Kvalvik explains. BOA contracted several partners for the salvage. SubseaPartner was contracted for fuel removal from the frigate and for subsea works for preparations for lifting. IMC Diving AS and Hjorteseth Shipping AS was contracted by the company for preparations for lift and securing, while Semco Maritime AS and Kranringen AS was contracted for the facilities and services required at Hanøytangen. 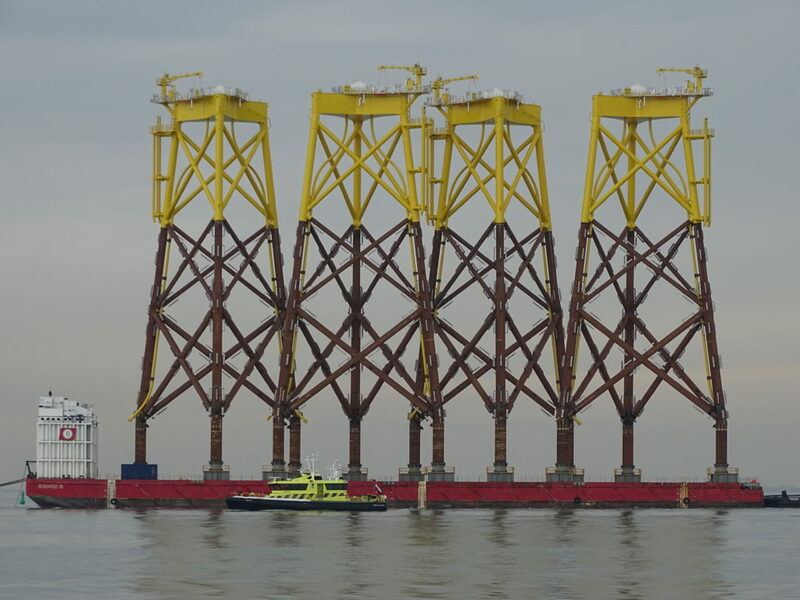 For lifting, BOA contracted the two heavy lift vessels HLV Rambiz (3300 t capacity) and HLV Gulliver (4000t capacity), owned and operated by Scaldis. For transport, the heavy lift, semi-submersible Boabarge 33 (25000 dwt) was used, towed by Boa Balder, both owned and operated by BOA. The provisions and working environment changed with the time HNoMS Helge Ingstad was becoming more and more submerged in the water and caused great challenges for the planning of the operations. E.g. the fuel removal caused changes in weight and center of gravity in HNoMS Helge Ingstad and consequently instability the vessel. Since the integrity of all the tanks and the systems that contained fuel was found intact, it was decided in agreement with NDMA and NCA that only the fuel tanks that was exposed to the lifting chains, was to be emptied. In total about 150m3 marine fuel (MGO) was removed from the vessel prior to lifting. This way, together with other measures taken, the stability of the vessel was maintained and further work on preparations for lifting could be carried out without any increased risk to the involved personnel or environment. This also involved removal of weapons like NSM missiles and torpedoes that was carried out by specialized clearance divers from the Royal Norwegian Navy. The dewatering of HNoMS Helge Ingstad in step 3 during lifting was planned and carried out by the Royal Norwegian Navy and actual crew from HNoMS Helge Ingstad as a part of the overall salvage plan. At February 26, 2019, after complex preparations and several delays due to unsafe working conditions caused by unfavorable weather, HNoMS Helge Ingstad was successfully lifted off the bottom and then up-righted to zero trim and zero list. “During the further lifting and de-watering process, it became clear that the weather forecasts had changed and there were predicted some long period swell at site in the very last stage of the process. This could induce some risk to the involved personnel, and as that was unacceptable, it was decided to use a part of the contingency plan; to transfer HNoMS Helge Ingstad to a sheltered location for the remaining operations”, Kvalvik says. With HNoMS Helge Ingstad hanging in the cranes, the heavy lift vessels transited to Hanøytangen where the submerging of Boabarge 33 and the subsequent loading of HNoMS Helge Ingstad could be carried out without any risk to personnel or environment. After a successful loading of HNoMS Helge Ingstad onto Boabarge 33, the barge and HNoMS Helge Ingstad was then towed by BOA Balder, to the Norwegian Navy Base Haakonsvern and redelivered to her owners on Sunday March 03. “An operation like this has never previously been executed. It has been complex and challenging, but we managed to do what we promised. We are pleased to see HNoMS Helge Ingstad back to its owner”, Kvalvik says.